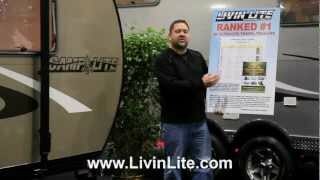 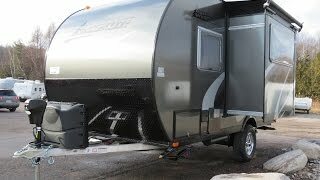 Camplite travel trailers by Livin Lite RV are the next generation of REAL ultra-lightweight travel trailers. 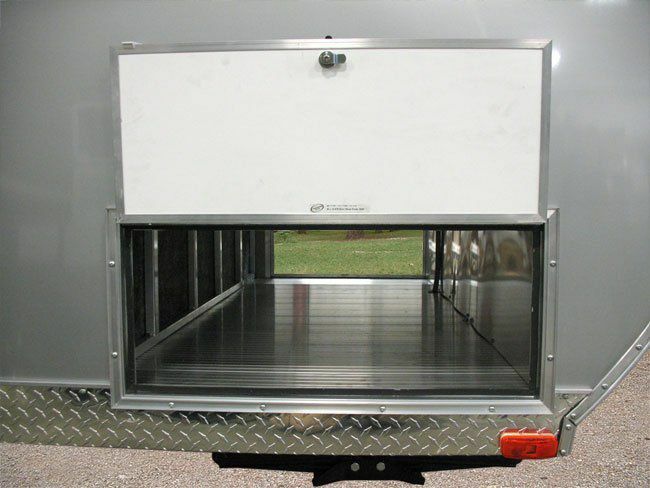 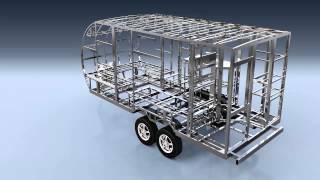 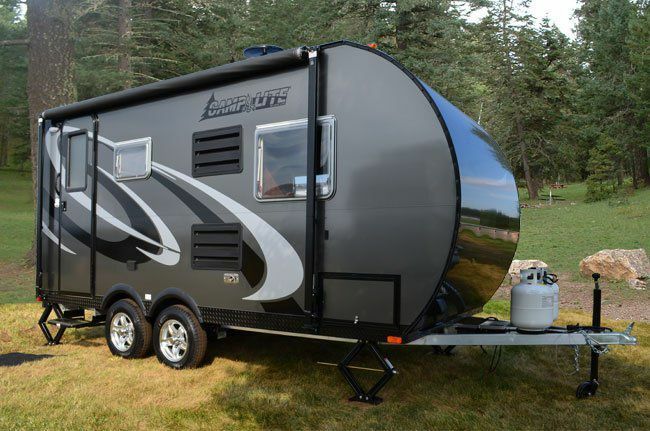 Designed and built with a 100% tubular aluminum structure including walls, floors, roof and even cabinets, Camplite trailers can achieve unloaded weights unlike any other travel trailer in the RV market. 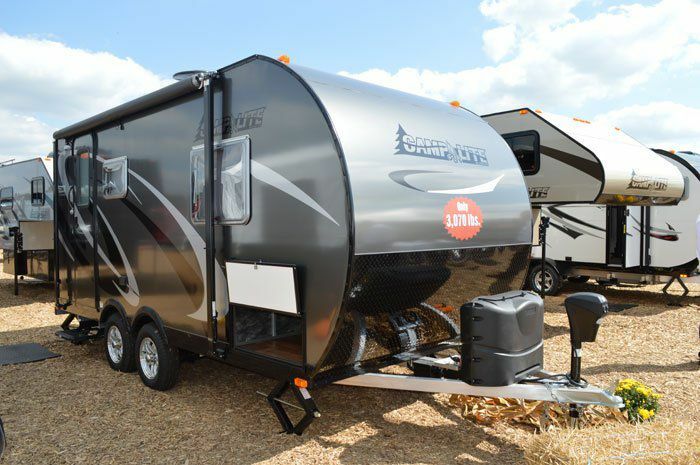 Combined with recycled composite materials, the Camplite trailers provide campers with a Certified Green trailer that is environmentally friendly, built with the highest quality materials and craftsmanship. 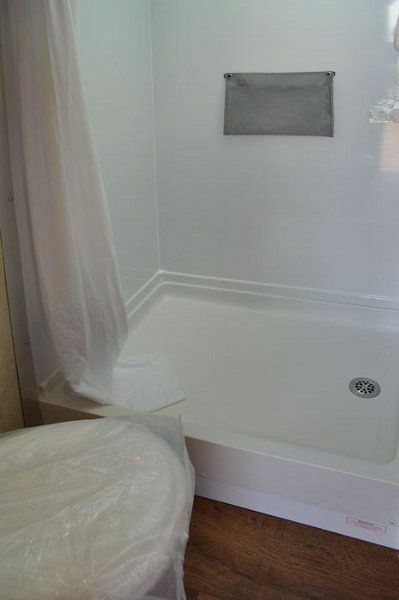 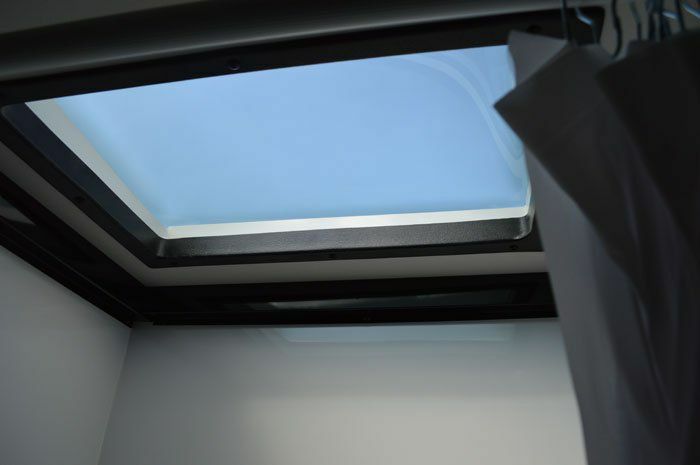 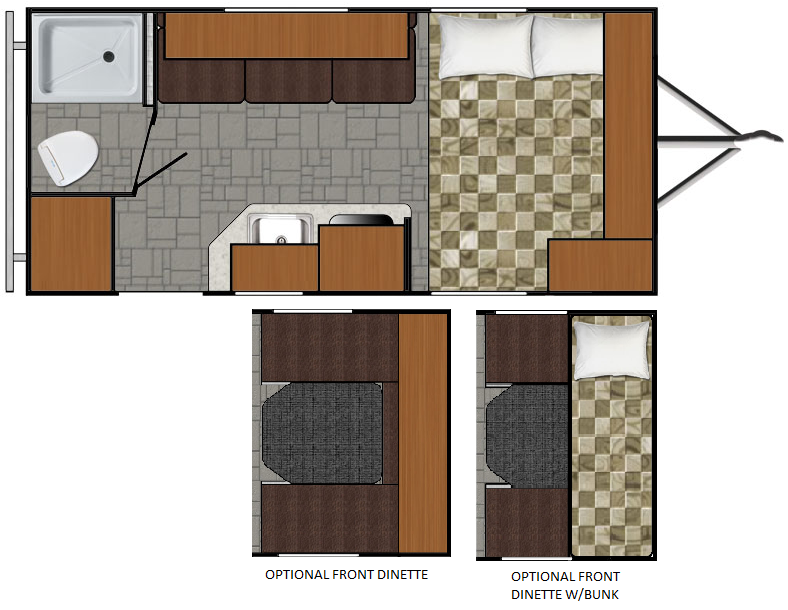 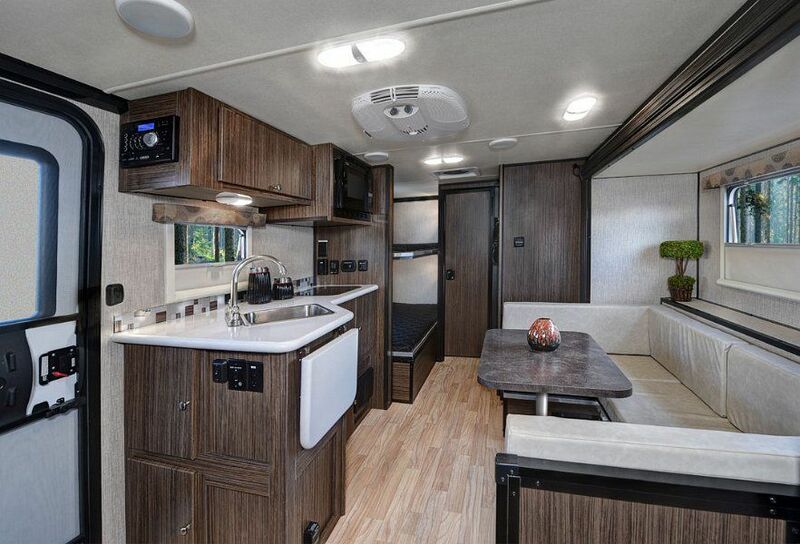 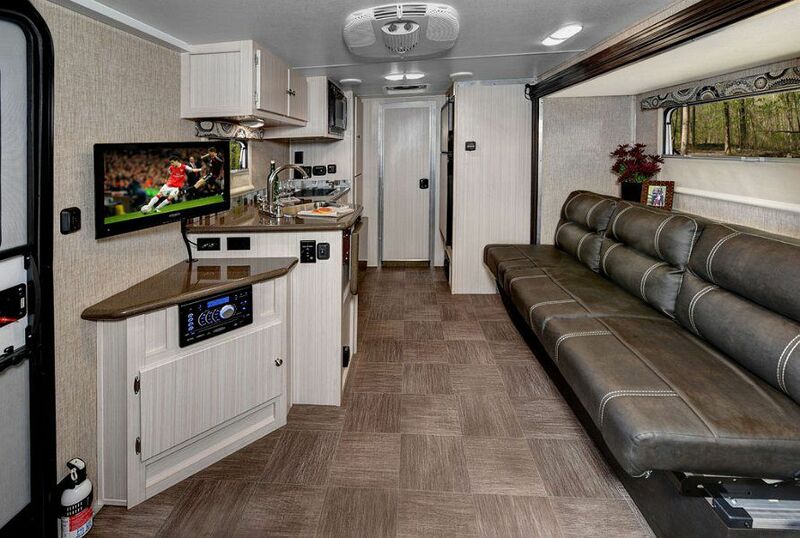 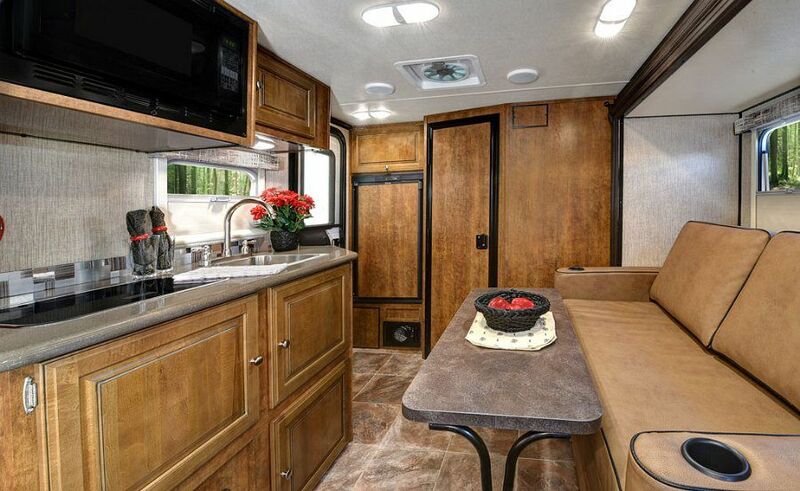 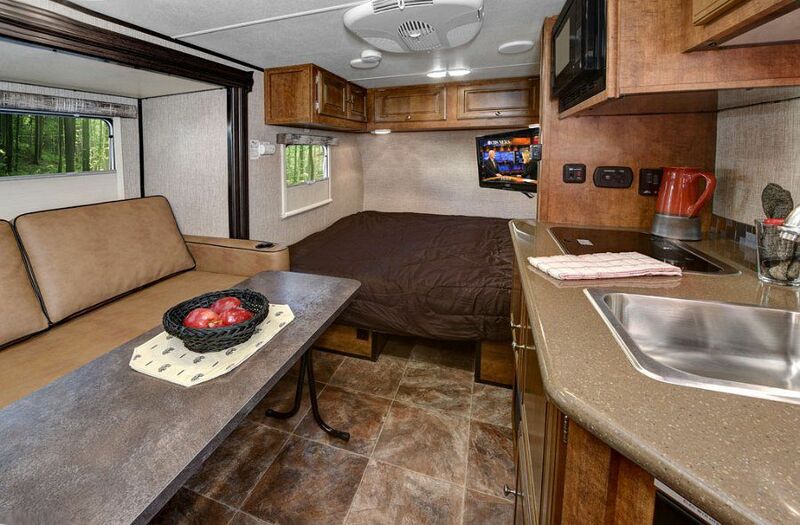 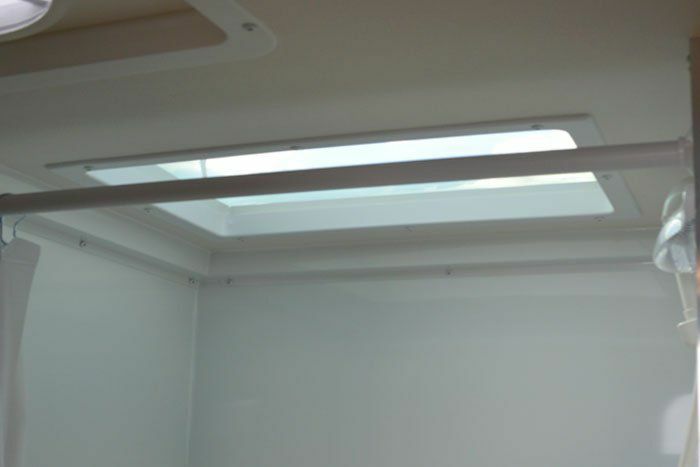 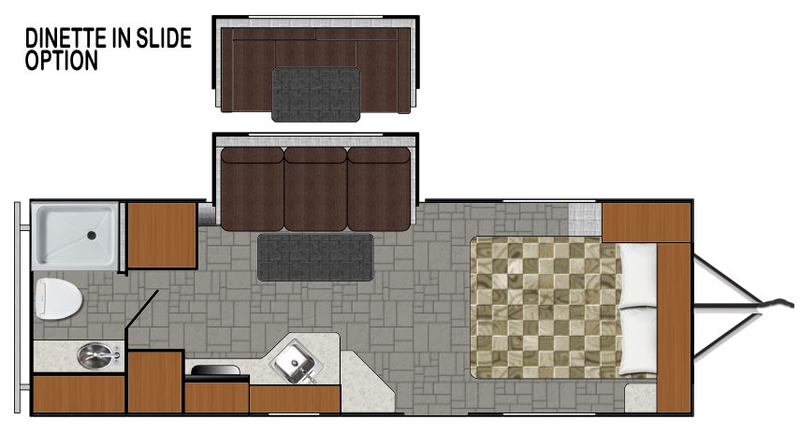 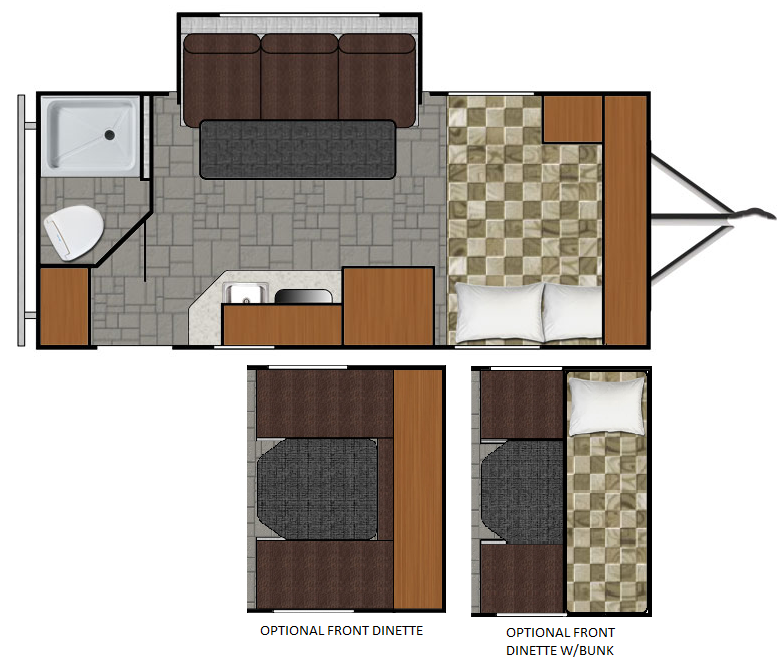 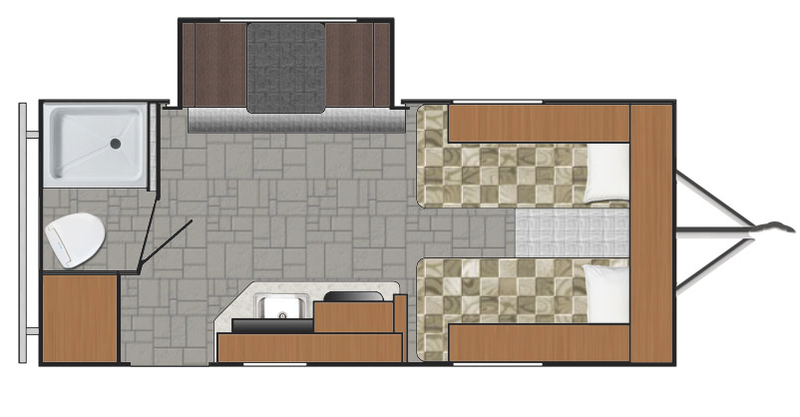 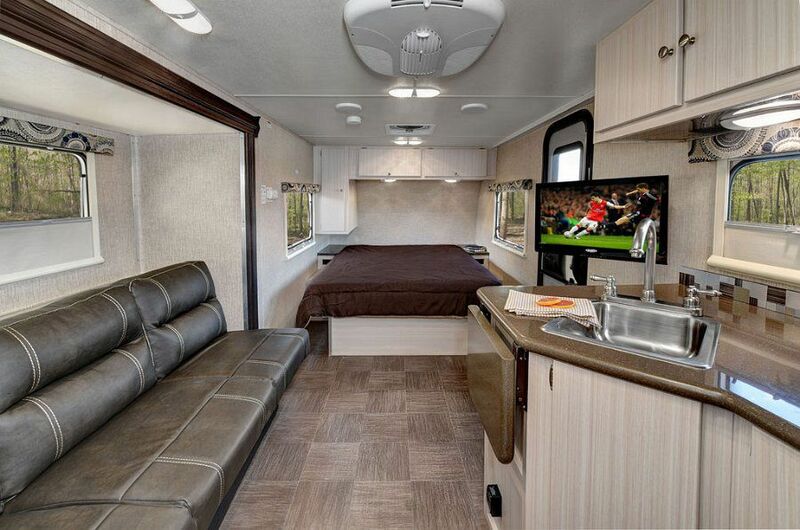 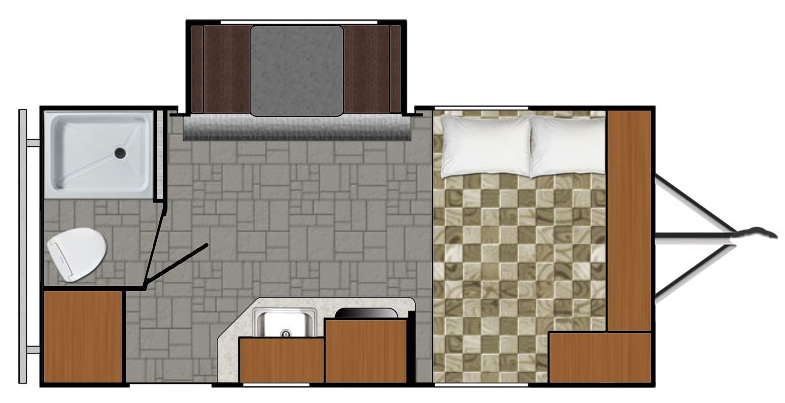 They also have a wide variety of small to large lightweight floorplans ranging from 11' to 21'. 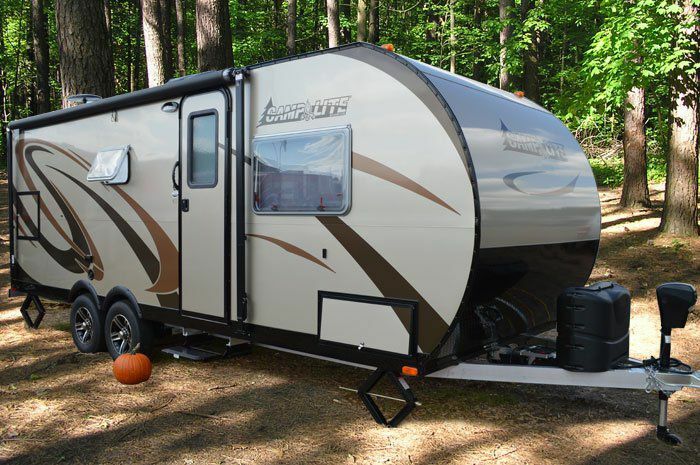 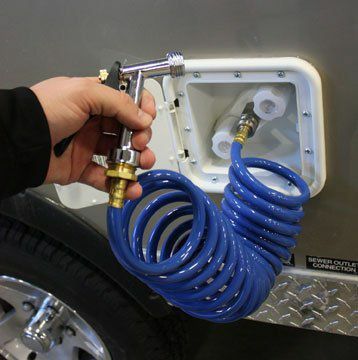 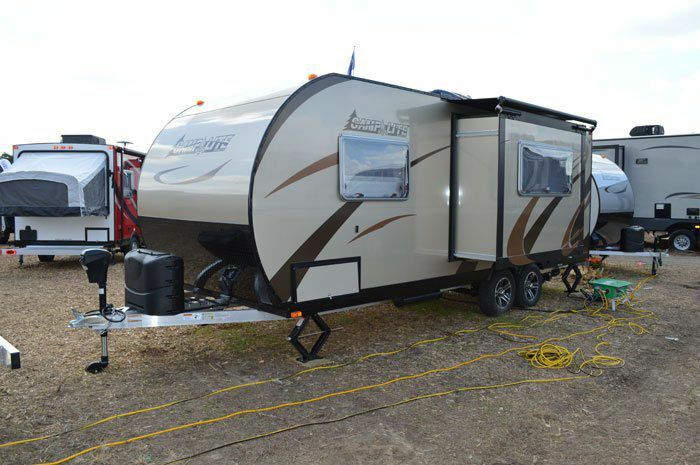 Camplite travel trailers give you plenty of options to choose from when it comes to finding the best trailer that suits your needs while maximizing the length of trailer that can be safely towed behind your tow vehicle. 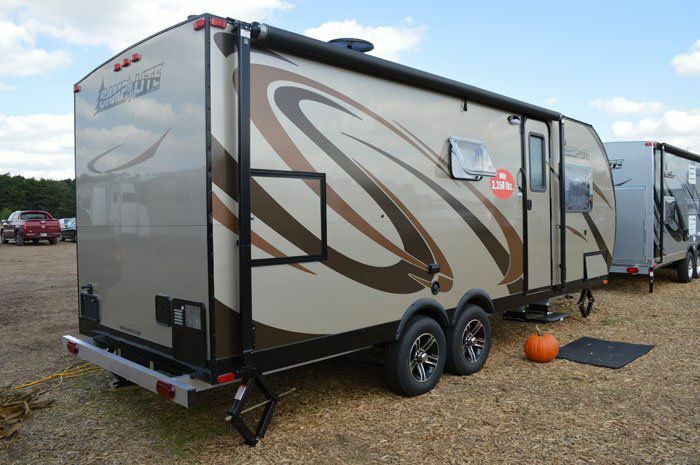 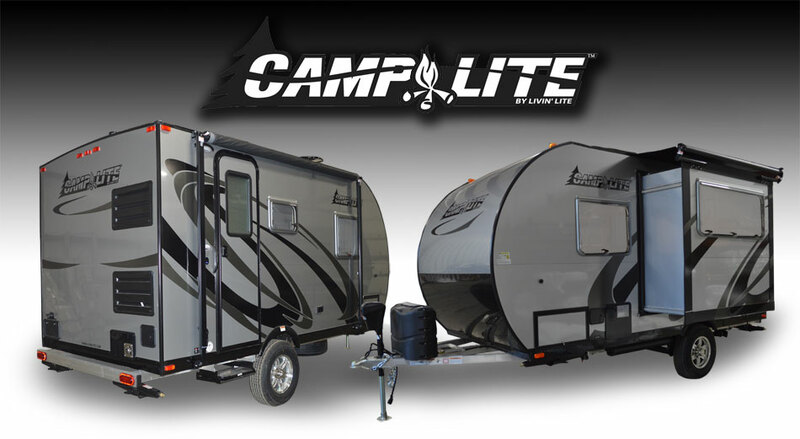 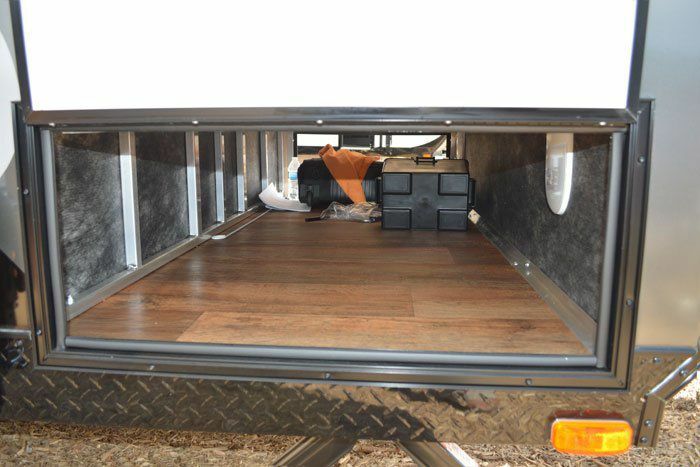 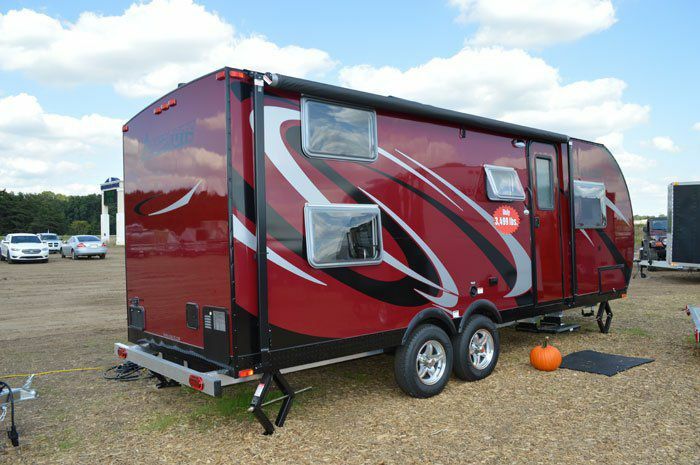 Loaded with premium and convenient standard features, Camplite trailers offer BEST-IN-CLASS value! 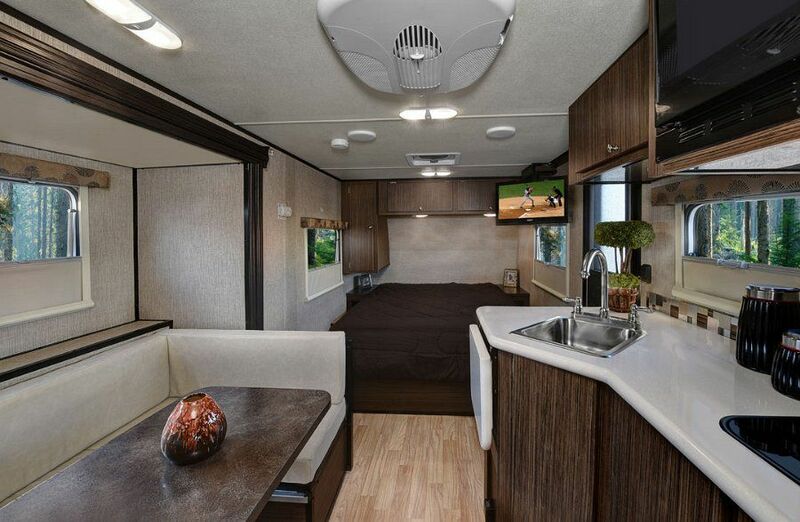 Standard features include interior and exterior LED lights to save on energy, slide-out awning covers protects roof from debris, Torsion® by Dexter which provides the smoothest towing experience, convection microwave offers more storage space, 6 gallon Gas/Electric DSI water heater, exterior shower with hot & cold and shower head for rinsing your sewer hose, awning for extra sun protection, black tank flush helps clean sewage holding tank, aluminum mag wheels add "WOW" factor, solid surface kitchen countertops with stainless steel sink are more durable, upgraded leatherette seating and cushions are easy to keep clean, Vinyl flooring overtop of aluminum floor make the interior feel relaxing, 13.5K BTU low profile air conditioner for reduced overall height and comfort control on HOT days and spare tire mounted between the frame underneath the trailer. 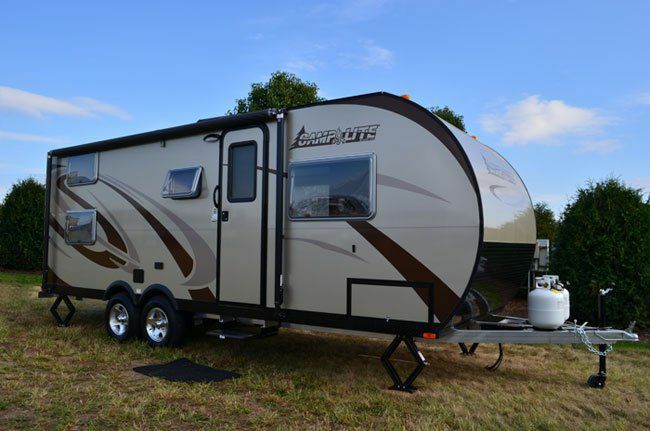 Why Buy a Camplite Travel Trailer?